Two rooms are rented together with a total capacity of 4 people with a stay, a small terrace and a bathroom in a beautiful apartment of 320 square meters. The first bedroom is composed of two single beds and the second bedroom is composed of a double bed. The apartment has 3 bedrooms, 2 living rooms with a flat-screen TV, an equipped kitchen and 2 bathrooms with a bath and a shower for each. Near the ring road and the road to Nasr city and Al Sokhna road. Palm City is conveniently located in Cairo's Nasr City, 13 km from Cairo Citadel and Mohamed Ali Pasha Mosque. This air-conditioned apartment features free Wi-Fi. A local halal breakfast is available for a surcharge each morning. Ibn Tulun Mosque is 15 km from the apartment. 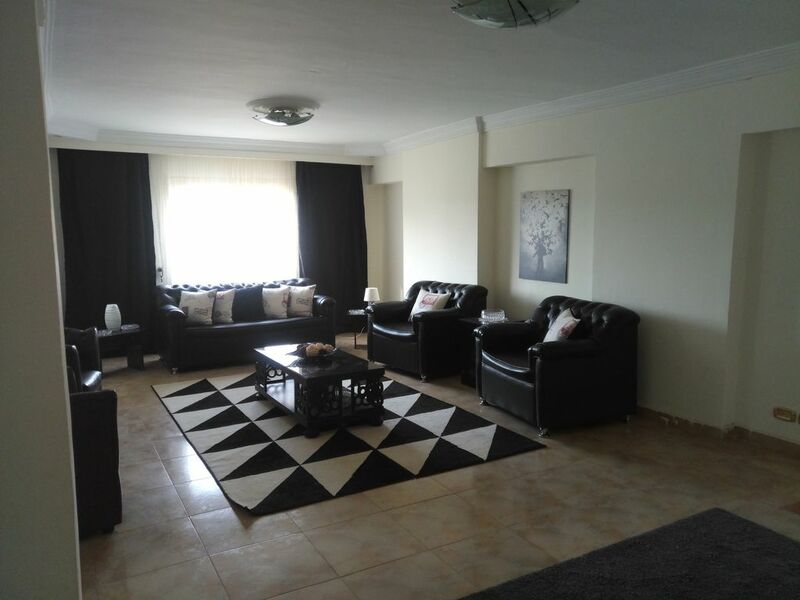 The nearest airport is Cairo International Airport, 26 km from the property. Nasr City is a great choice for travelers interested in shopping, friendly locals and entertainment. The sea of AL SOKHNA is an hour away with access to 500 meters from the residence.